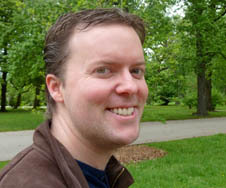 Dr. Michael Cole is an Assistant Professor at the Center for Molecular and Behavioral Neuroscience at Rutgers University. He received his PhD in Neuroscience from the University of Pittsburgh and Carnegie Mellon University. Afterward he completed postdoctoral research at Washington University In St. Louis before joining the faculty at Rutgers. Michael is here with us today to tell us all about his journey through life and science. The lab’s research focuses on discovering the dynamic network architecture of the human brain, especially as it relates to the cognitive and neural mechanisms that make human behavior flexible and intelligent. A major area of study in Michael’s lab is brain network mechanisms of flexible cognitive control. Flexible control – a capacity supporting adaptive, goal-directed behavior important in daily life – is affected in a variety of mental illnesses, markedly reducing quality of life. A key aspect of flexible control is our ability to rapidly reconfigure our minds to perform a nearly infinite variety of possible tasks. This is known as rapid instructed task learning (RITL). For instance, you utilized RITL the first time you used a smartphone – transfering what you knew about cell phones and computers while expanding what was possible with such a device. Comprehensive understanding of this ability would have important implications for research in education, aging, and a variety of mental illnesses.